BOOK YOUR PLACE NOW AND GET A EXTRA BAG OF AMMUNITION! 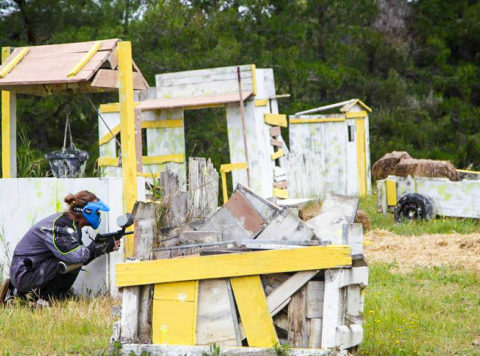 Paintball is one of our best sellers due to the outdoor location and great team bonding experience. It is ideal for Hen and Stag weekends who want to let off some steam while having fun with good friends. 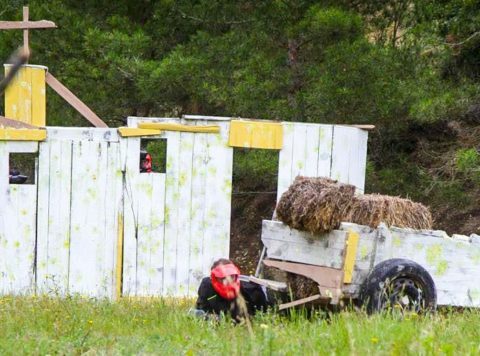 If you have ever wanted to play out shot-em-up computer games in real life or just fancy an action packed outdoor adventure then paintball is the activity for you. A short distance from Barcelona City Centre we will take care of the transfer for you. On arrival you will be giving safety information as well as an explanation of how to use the equipment. 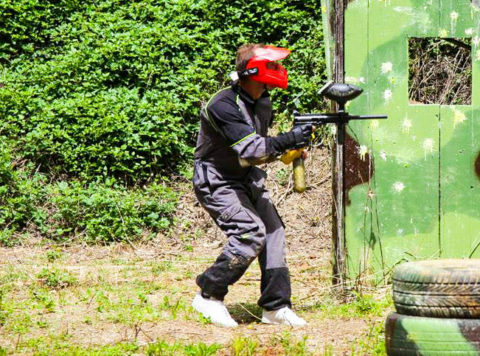 You will be provided with a state of the art paintball gun, stylish overalls, safety helmet with eye protection as well as a padded breast plate. Your guns will be full of ammunition with plenty more available if you run out. There are 3 different fields where you will be battling it out. One of the guides will be directing you through the abandoned Spanish village, the Jungle and the camouflaged battle fields. They will also be setting the challenges and looking after everyone.